We’ve all heard recommendations about drinking lots of water, getting your beauty rest, and wearing sunscreen to help your skin ad nauseam. While these things are helpful (see my recent post about hydration and sleep), I want to give you some forward-thinking tips based on modern, holistic approaches to wellness as well as the latest available skin treatment technology. Here are my top skincare tips to start 2019. My colleagues and patients know I am a huge proponent of bone broth for anti-aging. That’s because I know it works: I’ve witnessed how bone broth helps patients heal better after procedures and see the difference in their results. Why is bone broth so special? It’s packed with nutrients—and contains collagen and elastin which are the building blocks of firm, youthful skin. Drinking bone broth may even help your skin get more collagen and elastin than topical products: nutrients are delivered to your cells via your bloodstream, instead of having to pass through the skin’s outer barrier. You can buy prepared bone broth, but making your own is better as you can control the quality of ingredients and adjust the flavor to your taste. Here’s the bone broth recipe from my book Eat, Drink, Heal. I like to make a big batch and freeze it in smaller portions to save time. A healthy lifestyle and excellent at-home skincare are important, but if you want celebrity-level skin, treat yourself to one of the treatments A-listers choose for themselves before walking the red carpet. My #1 non-surgical treatment recommendation for 2019? PRP microneedling. It does wonders providing improvements in tone, texture and appearance, as well as treating specific skin problems. Here, we take PRP to an even better level with our Beauty by Buford Blend—it’s a cutting-edge nutrient blend that helps your skin utilize the growth factors in PRP to the max. 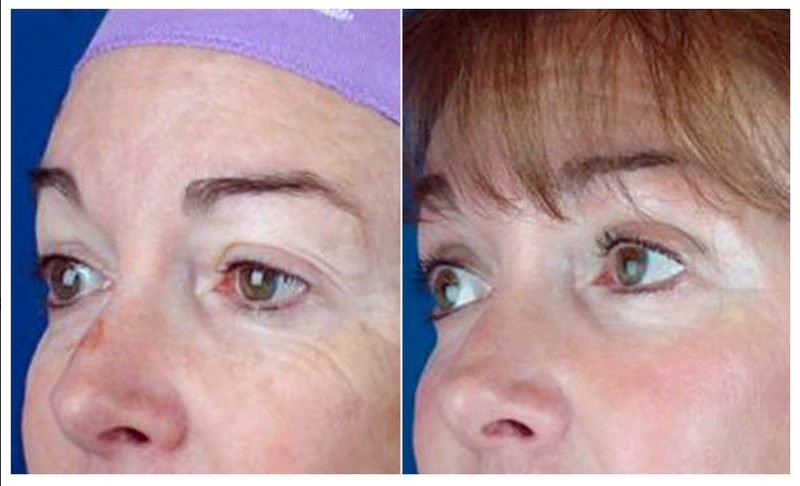 If you need more dramatic improvements, consider a laser treatment or peel instead or in addition to a PRP treatment. In any case, let a board certified plastic surgeon guide your choice rather than going for the latest online deal, so you can be sure you’re getting the right treatment for your skin type AND receiving an authentic, FDA-approved procedure, safely performed by a trained medical professional. Skin woes including a dull appearance, clogged pores, infected blemishes and more can be traced back to ineffective products, old makeup, and dirty supplies. Do your skin a huge favor in 2019 by ridding your bathroom of all products that aren’t sparking joy for your skin. You’ll clean up your skin, clear space in your vanity, and save time when you apply makeup in the morning and get your skin ready for bed. Many of us find paring down skincare difficult: so many products full of promises clutter our drawers and most people have no idea what is really working for them. Life’s better with a slimmed-down collection of makeup, clean application tools, and a set skincare program, but many of us find paring down skincare difficult: so many products full of promises clutter our drawers and most people have no idea what is really working for them. The fact is blogger-recommended serum-du-jours are not likely to work for your skin. Most brands invest more in marketing than in testing and ingredients, and a random group of pretty products is not going to be as effective as a doctor-designed system. In other words, dump all those random potions and adopt a medical-grade skincare program. No idea where to start with skincare? Get professional guidance. A qualified medical skincare expert can help you find the best skincare products for your unique needs, saving you time and money that might otherwise be wasted on useless or unsafe products. Get started by meeting with a medical skin professional; you will save time and money that might otherwise be wasted on the wrong products, and get the results you want faster with products that contain high concentrations of active ingredients. Having a set skincare plan in place will also relieve you of the temptation to clutter up your life with iffy products! Our Denver skincare patients are thrilled to have their skincare quandaries solved in an hour or less. We can evaluate your skin and design a plan that includes the right medical-grade products for your skin type and concerns. If following all of these skin health tips seems daunting, start small. Sticking with one resolution is better than failing at many, and we can make #2 and #3 easy: call our Denver office at 303-747-6719 to book your personal consultation with myself or our cosmetic dermatology physician assistant Kaitlyn Pell, PA-C. We look forward to helping you enjoy better skin health.